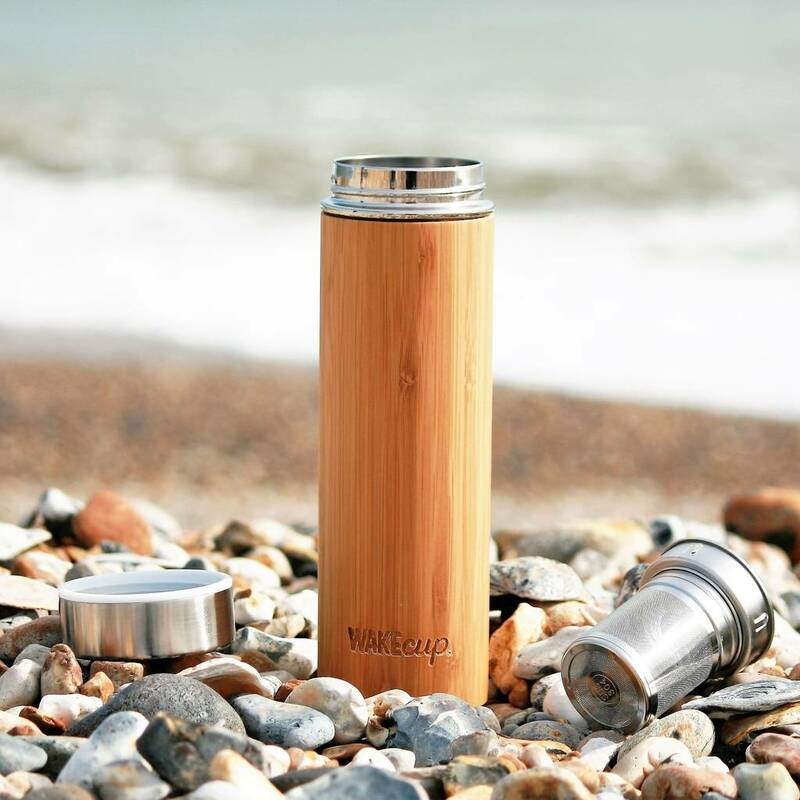 A stylish reusable thermos flask which can be personalised too. One of our range of sustainably sourced farmed bamboo WAKEcups. 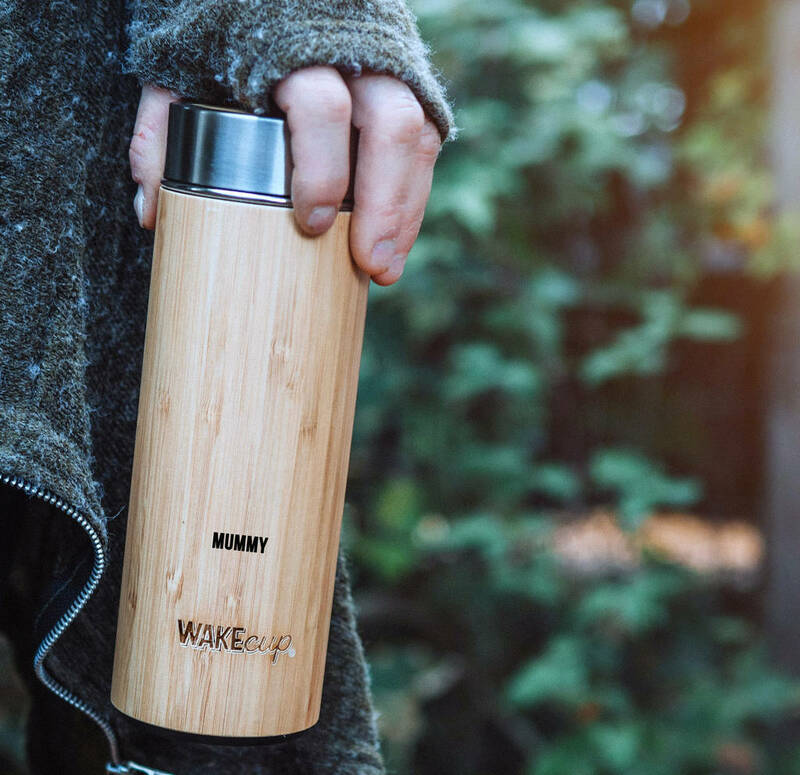 A sustainably sourced bamboo water bottle with a stainless steel double wall inside to keep your drink ice cold for up to 4 hours.The bottle and lid is guaranteed not to leak. Reuse and refill the water bottle as much as you need. Stores 450ml of liquid (hot or cold). For personalised flasks, simply enter the initials or name to be printed onto the cup in the text box opposite. The personalisation is printed towards the middle of the flask. 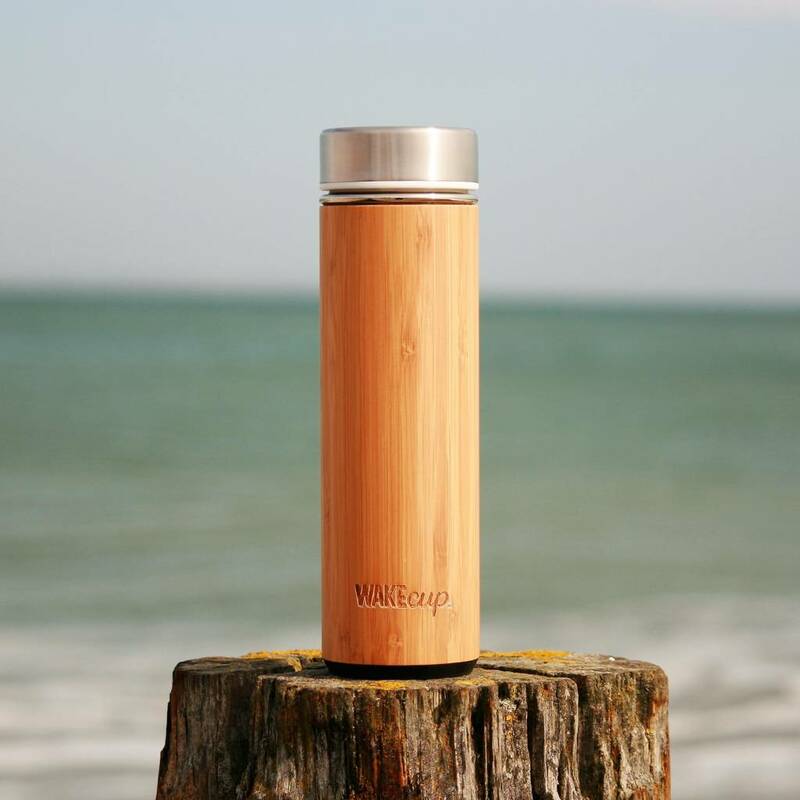 Ideal for those on the go, wanting to either keep drinks cool or hot for hours. Each flask also comes with a removeable infuser basket so that you can keep your tea bag or fruit sitting in or above the liquid. 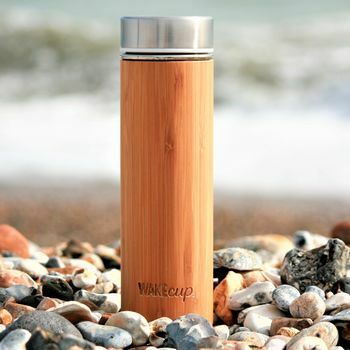 10% of profits from every cup or bottle sold at WAKEcup go to The Marine Conservation Society to help clean our oceans and protect our wildlife. 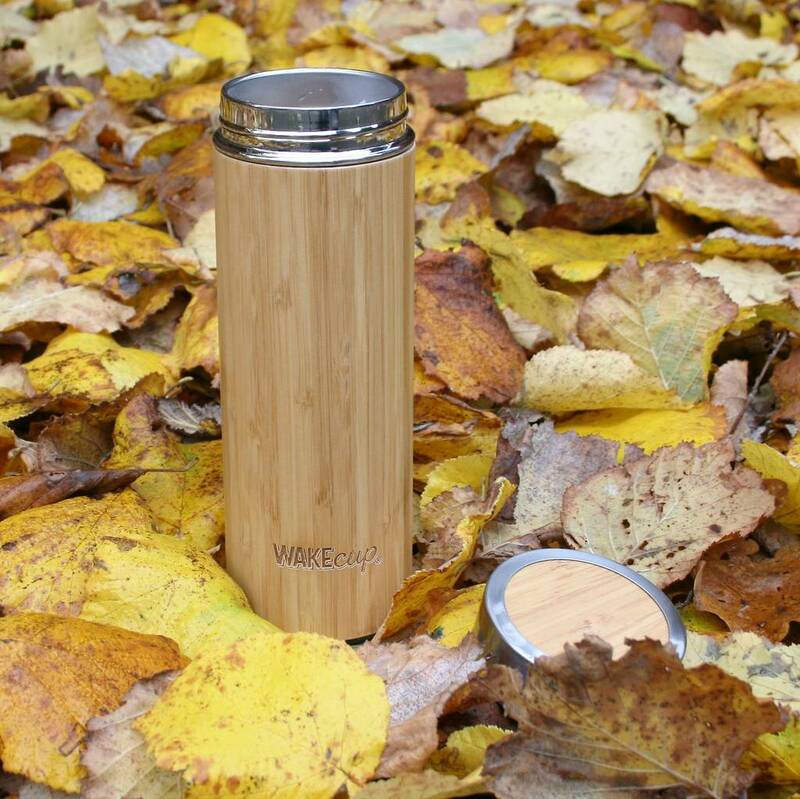 Sustainably sourced farmed bamboo with a double-walled stainless steel inner case.